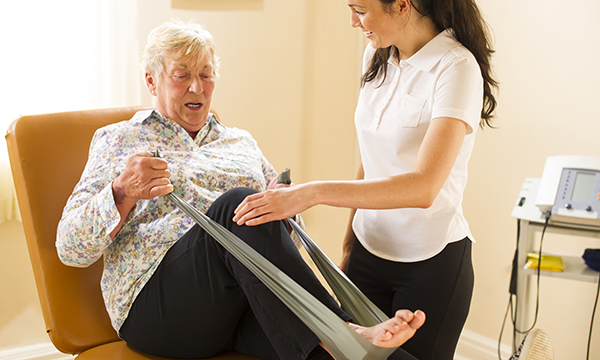 A seven-month pilot programme, which helped frail older people who frequently fall to improve their physical strength, has cut calls to emergency services and visits to emergency departments by a significant percentage in two London boroughs. The intervention run by London Ambulance Service NHS Trust (LAS) in partnership with a national volunteering organisation, Royal Voluntary Service, ran from November 2017 to May 2018 in the Merton and Hackney areas of London. A group of 31 frail older people identified as frequent fallers, who called 999 frequently, worked with ‘mobility volunteers’ in their own homes for six to eight weeks to improve physical function and well-being. The individuals, most of whom were over 85 years old, undertook weekly exercise sessions of up to an hour. Activities included leg-strengthening exercises to help them get out of bed, a chair or a toilet, and arm exercises to help them get dressed. The older people also received advice on hydration and nutrition, as well as help to transition to a community exercise programme. 60% had improved on a 30-second ‘sit to stand’ test when retested. Almost 70% improved their walking or gait speed in the 'timed up and go' test. One in four felt their health had improved and that they felt less lonely. More than one third felt happier and more confident. LAS deputy director of nursing and quality Briony Sloper said: ‘Recruiting local volunteers to support frail and often socially isolated people within their community has been extremely rewarding for everyone involved. LAS estimates that each ‘call-out and convey to hospital’ costs the service approximately £300. Health think tank The King’s Fund estimates that falls account for 40% of ambulance call-outs to people over the age of 65.